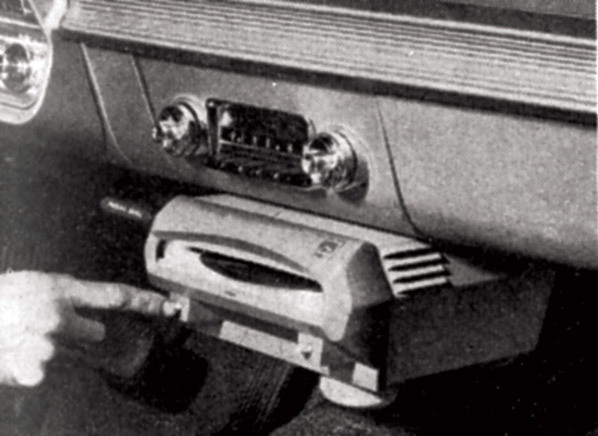 The ’50’s and ’60’s brought an invention that freed car audio fanatics from the reliance on AM and FM radio signals. As records began to sweep the country, it was only a matter of time before they would be available for car lovers to enjoy while driving. The “Highway Hi-Fi” was the first to market. It was available from Chrysler in the 1956 Chrysler, Desoto, Dodge, and Plymouth. The 7-inch size was perfect because the 12-inch were too big but the 45’s did not last long for long car rides. In 1960, Chrysler released a much more affordable option: the RCA Victor auto “Victrola.” For $51.75 ($410.47 today) you could play 45s of your choice. The RCA “Victrola” held 14 records and could play for 2½ hours. This allowed drivers to focus on the road instead of being distracted by constantly changing music. The ’40’s and ’50’s were capitalized by a feature we have all become accustomed to and tend to overlook: the “seek” option. This option made it possible for drivers to find station without having to continuously turn the knob. Ford was one of the companies to make the “seek” option so popular with its “Town and Country” models. The name came from the two buttons located on the radio “Town” and “Country.” When the Town button was pressed the tuning mechanism rotated as the sensitivity was decreased so that only local stations would be selected. In contrast, the Country button made the same mechanism rotate but with full sensitivity so that distant stations could be received. For continuous seeking, rather than pressing the button, a petal was available for the driver to press with their foot. This petal was located on the far left where the “dead petal” can be found today. This convenient feature aided in travel and really helped car audio take off. The rest of the 1950’s brought an assortment of improvements to car audio and we will dive into those next week! Car audio gained its footing in the late 1920’s. 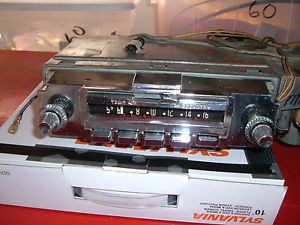 This is when the first car radios hit the market. Although they are seen as a necessity today, the original car radio was met with a lot of resistance. A large portion of the population feared that radios in cars would distract drivers and cause more automobile accidents. Some areas even went as far as to ban radios from use while driving (thank goodness that didn’t stick!) 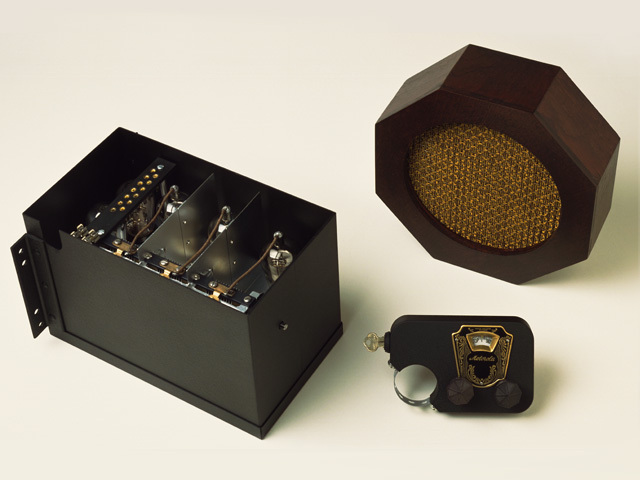 While commercial radios began selling in the late 1920’s, it wasn’t until the Galvin Manufacturing Company (now known as Motorola) released the first commercial popular in-car radio, the Motorola 5T71, that radios hit mainstream.